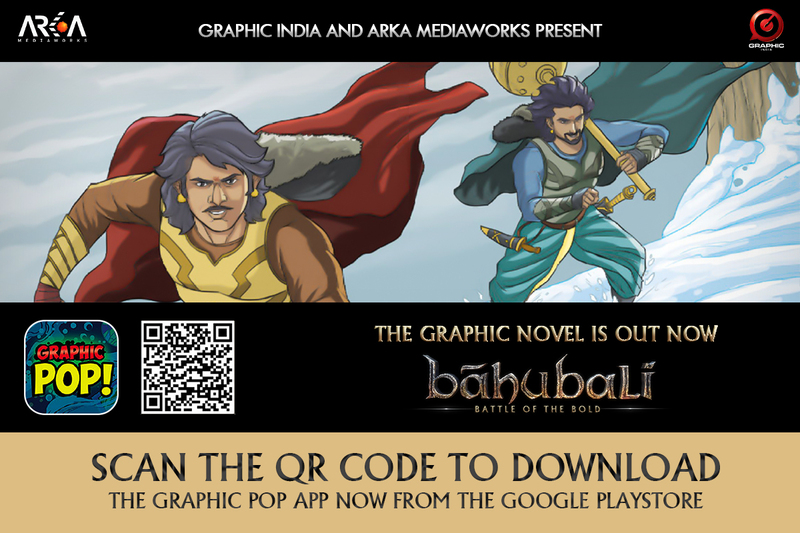 The much awaited Issue 1 of the Baahubali Graphic Novel, Baahubali – Battle Of The Bold, created in association with S.S. Rajamouli’s Baahubali and Graphic India, is now available for you to read!! Set in the world of Baahubali, Baahubali – Battle Of The Bold, explores the lives of the young Princes of Mahishmati. It reveals the journey of the brothers, Baahubali and Bhallaladeva, the challenges and obstacles they encounter while growing up, as they make their way to the throne. Download the Graphic Pop App and enjoy reading it!